I have completely abandoned installing and doing initial SharePoint configuration the old-fashioned hard way using a lethal mix of installers, Central Admin, PowerShell and an easily distracted mind. 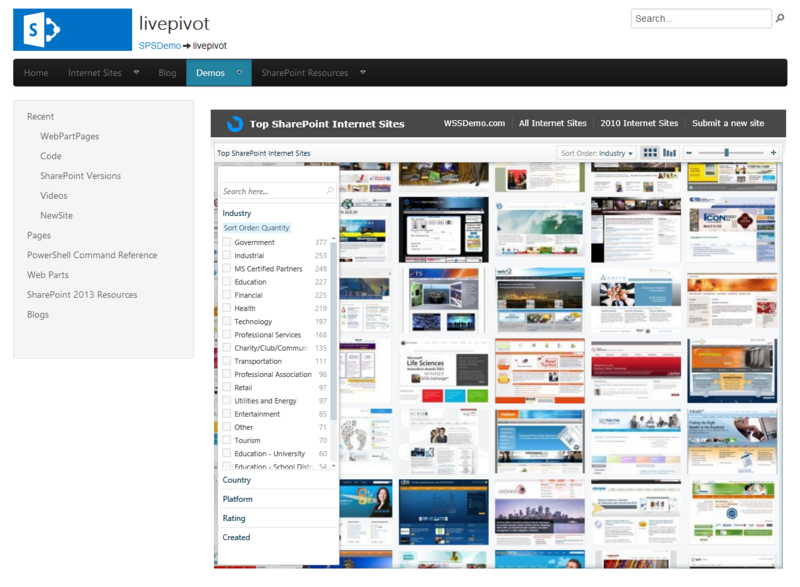 I now use AutoSPInstaller from CodePlex to make all my SharePoint installation and configuration tasks a breeze. OK that is a lie because using AutoSPInstaller is also very hard as it requires you to painstakingly hand code an unforgiving XML configuration file using an IntelliSenseless tool such as Notepad. Fortunately for us Ivan Josipovic found the time to create AutoSPInstallerGUI which makes creating the AutoSPInstaller XML files a walk in the park. Thanks Ivan! 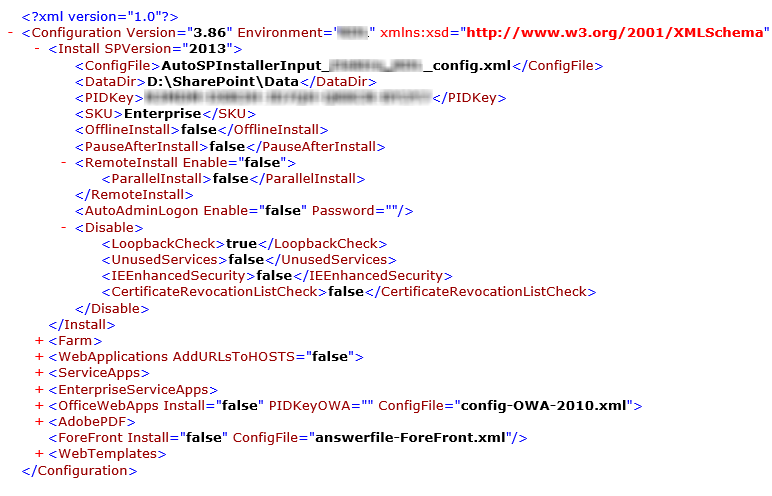 AutoSPInstaller is a set of PowerShell scripts which use the XML configuration file to install all the SharePoint components including Service Packs, Cumulative Updates etc. The scripts will then setup the managed accounts, create and configure all the service applications, search topology, user profile synchronization, web applications, site collections and bunch of other configurations typically done on a new farm such as IIS, ULS and usage log settings, object cache accounts, email settings, etc. 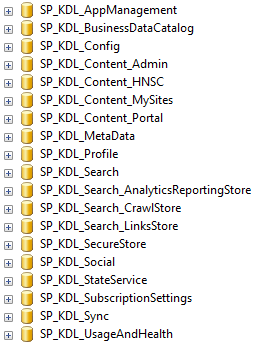 Plus it sets up all the SharePoint databases using sensible naming conventions. 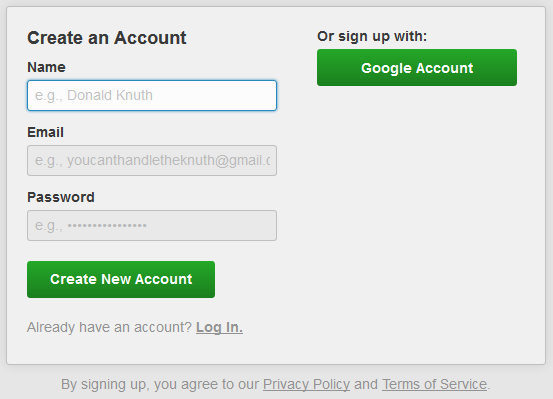 No crazy GUID database names. It shocked me too. Crazy idea not having a GUID in the name, but somehow it works. Clearly these AutoSPInstaller guys are not destined for jobs at Microsoft. It also allows you to do remote parallel installation and configuration of all the servers in a farm. Actually this is where AutoSPInstaller and I had a fight. Unfortunately documentation for the tool is well non-existent really. The community has put together some documentation but none of it explains how to use AutoSPInstaller to configure multiple servers in a farm. I struggled with this for quite and while and then realized I was wasting more time to get this to work then it would take me to manually configure the additional servers. This is not something I have had the time to figure out, but despite this problem AutoSPInstaller has been a huge time saver in setting up servers in a consistent manner. Once you have created a configuration file for a farm it is easy to reuse this for other similar farms or for different environments; production, staging, QA. The configuration file can safely be re-run multiple times to fix issues or rebuild parts of the farm you may have removed. For instance you can delete a web application, site collection or a service application and re-run the script to recreate it. I also find that the configuration file acts as documentation of everything done to setup and configure a farm. 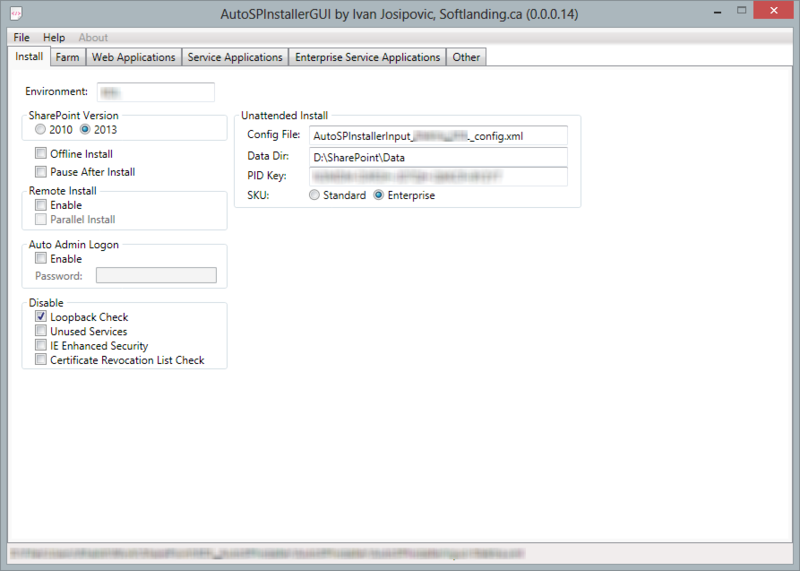 AutoSPInstaller and AutoSPInstallerGUI are huge time savers and are now part of my essential SharePoint toolkit. I use Trello to plan and manage software projects as well as a weekly planner to keep track of my work related tasks. Adds functionality to estimate and track story points or hours. I wrote a detailed post on this at Trello.com – Estimating & Tracking Hours. Shows the number of cards in each list at the top right of the list. This is a follow-up to a previous post I wrote on Trello.com. Trello currently does not support adding estimates or tracking hours against cards. This post shows you how to do that using a Google Chrome extension called Scrum for Trello. First of all use Google Chrome for working with Trello as I have found that Internet Explorer can be temperamental when working with boards. Also you need Chrome to use the extension. These buttons are story points. I don’t care much for story points because at some point unless you have all the time in the world you have to explain how a story point translates into hours to somebody who doesn’t really care what the story point is. I have read all the goodness about why story points are better than hours but I still like hours, it works for me. Both story points and hours work with the extension. If you like story points go have fun. So you can press one of these buttons and it essentially puts the number in round brackets before the card title. 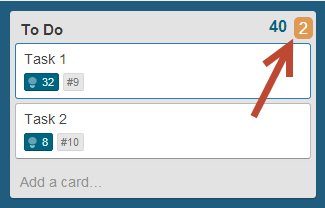 Since all the extension is doing is hacking the card title to track information, you can either manually choose to add the number in brackets before the title or you can edit the number after you press one of the buttons. And no there appears to be no way to change the list of story point numbers in the buttons that appear below the title. I have changed the title below to show 32 hours. When you close the card and view the board the extension will read the numbers and show them at the bottom of the card, total up all the cards in a column and show the total at the top of the column and show the total of all the columns at the top right of the board. Now if you want to also keep track of how many hours are completed on each task you can edit the title and add the number of hours completed in square brackets at the end of the title. I am changing the title below to show 8 hours have been completed. Sometimes after you edit the title and close the card, the board does not reflect the changes to show your edits. For example below you still see the bracketed numbers in the title. 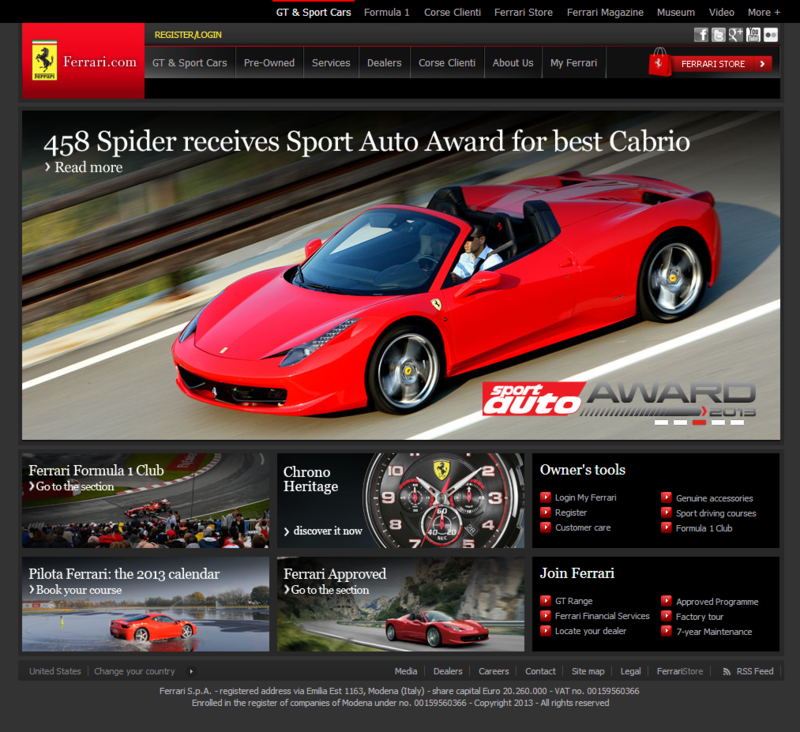 Simply refresh the web page and the extension will do its magic and refresh the numbers. You will see that the completed hours are shown to the right of the estimated hours on the card and also the total completed hours for the column are shown to the left of the total hours at the top of the column. I would have preferred if the column total was shown on the right as well. Remember these are the completed hours, so do not read this as the hours remaining for the cards. You have to do the mental math to figure that out yourself. The extension is basically hacking the card titles to manage this information. When you change the hours on the card these changes are not reflected in the activity feed for the card. Then again neither are any other changes to the title of a card. If you want to use these numbers to feed into a burn down chart you can follow the instructions at http://lsjuanny.wordpress.com/2012/08/17/step-by-step-create-trello-burndown/ to get a serviceable burn down chart for free. I find using this Chrome extension when planning out a project’s tasks quickly gives me an idea of the number of hours required. Managing any kind of software project requires planning out tasks, assigning them to people, tracking the status of each task and so on. 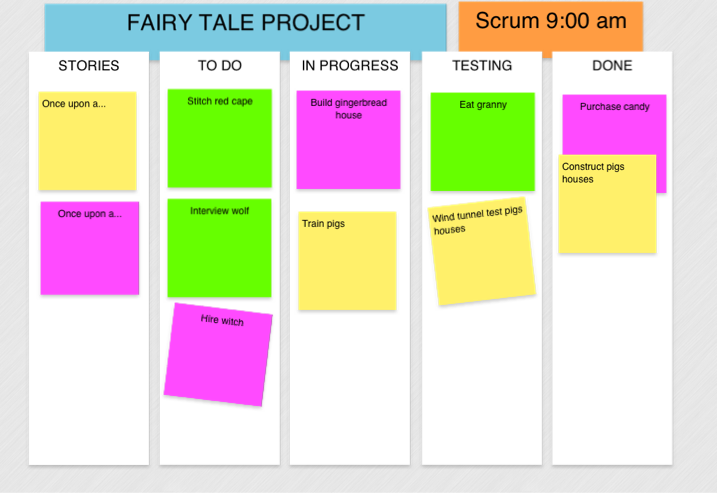 Many teams use a whiteboard with sticky Post-it notes arranged in columns, with column names such as “Stories”, “To Do”, “In Progress”, “Testing” and “Done”. If you are Agile of mind you might call this a Scrum Task Board for the not so agile it might be a Project Planning Board. Regardless of your agility and what label you give it, it kind of looks like the one below. Whiteboards are simple technology, mostly hard to break and great at communicating project information to the team as long as the entire team has physical access to the whiteboard. Nowadays teams tend to be geographically dispersed and virtual and can benefit from my favorite online whiteboard Trello. My wallet and I like things which are simple and cheap. Trello is almost as simple as the whiteboard and according to their site “Trello is free, now and forever”. Hmmm…sounds too good to be true. Well it is at least free for now so let’s get planning. Take a tour of all the Trello features at https://trello.com/tour or if reading is not your thing watch the movie. It is browser based and Chrome keeps track of my password so I don’t need one of them Post-it thingies stuck to my monitor. The interface is about as clean and simple as…well…a whiteboard. You can drag and drop cards without getting them stuck to your fingertips. Cards change size so you don’t have to use multiple chained Post-its to get your point across. You can attach files, videos, pictures, hyperlinks and comments to a card. Try that with a Post-it. 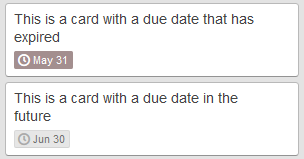 Cards can have due dates and get highlighted (subtly) if the due date has passed you by. You can assign cards to multiple members. You get an email when a card is assigned to you. You can subscribe to a card, so if somebody changes it or moves it to another list you get notified by email. Great for keeping on top of things. Cards can have a checklist of sub-tasks associated with that card and you can see at a glance how many of the sub-tasks have been completed. You can set up multiple organizations in one account. Nice feature if you work with multiple organizations like I do and/or get invited to Trello boards from other organizations. You can create as many boards with as many lists and cards as you want. You can invite other users to be members of an organization or board. Cards can be color coded (kind of) and categorized. Lots of keyboard shortcuts as you would expect of any good application. Activity feed for each card and board shows who changed what. You can filter the board by category or user to show only those cards for the selected category or user. Works almost identically in the browser, on the iPad, iPhone, Android and Windows 8 (truthfully I have only tested it on the Apple devices, so I am guessing about the others). You can’t filter cards in the mobile apps. You can’t have different colored cards. You can categorize cards which gives them a different colored teeny tiny bar at the top of the card, but I want my boards to be colorful like real life whiteboards with all the neon colored Post-its. Every member assigned to a board has the same rights. That is they can change anything on the board and obliterate it or parts of it if they so desire. Now this is a good thing from an Agile mindset because everybody should be equal and have an equal say blah blah blah, but people are well human and make mistakes. The good news is that you can see who to blame 😉 from the board activity feed, because every mistake is recorded for all to enjoy. If you scrounge together the $25/month to upgrade to Business Class you get a bit more control over this, but members with edit rights can still cause havoc. Mind you the same problem exists with real world whiteboards unless you laminate the Post-its and superglue them to the board. I love a company that eats it’s own dog food. Trello uses Trello to manage development of their own product. Check out the Trello Development board which is a good example of how to structure a project with multiple releases. They also use a Trello board to share Trello Resources such as tips, usage examples, browser extensions etc. Trello is a fantastic tool that I find I am using on more and more projects and I hope it does stay free forever. Go forth and plan. I have written a follow on post about estimating and tracking hours with Trello. 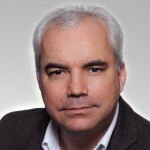 If you have configured your outgoing email settings but are having issues sending emails from SharePoint verify that your SMTP server is allowing connections from your SharePoint server using Telnet. 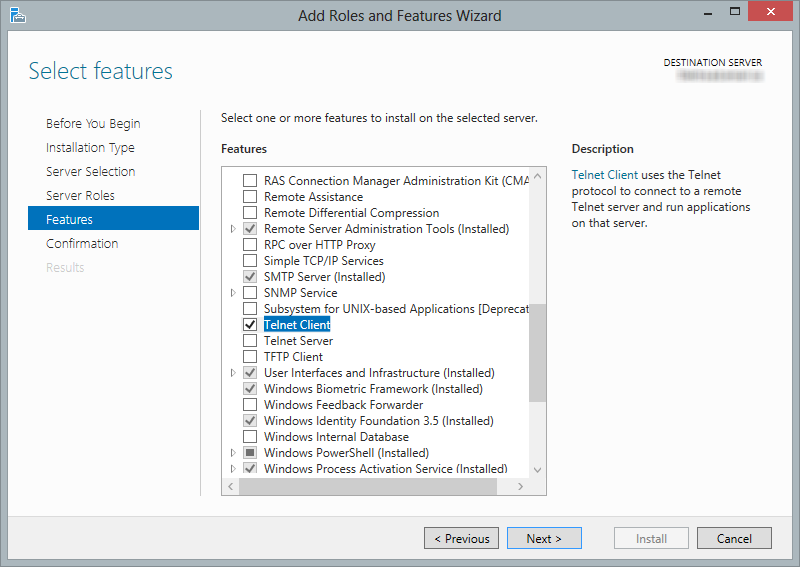 If your SharePoint server does not have the Telnet Client installed you can install this from the Server Manager > Add Roles and Features wizard in Windows Server 2012. The Telnet Client is in the features list. Eric Lough has a detailed article Troubleshooting SharePoint SMTP Errors via Telnet which describes the telnet commands to use. If the issue turns out to be Exchange Server not allowing your SharePoint server to relay emails and you can’t find the Exchange server guru in your organization or you are the Exchange Server “guru” in your organization follow George Khalil’s instructions at Configuring outgoing email in SharePoint 2010 with Exchange 2010 – Step by Step Guide to get you out of that mess. 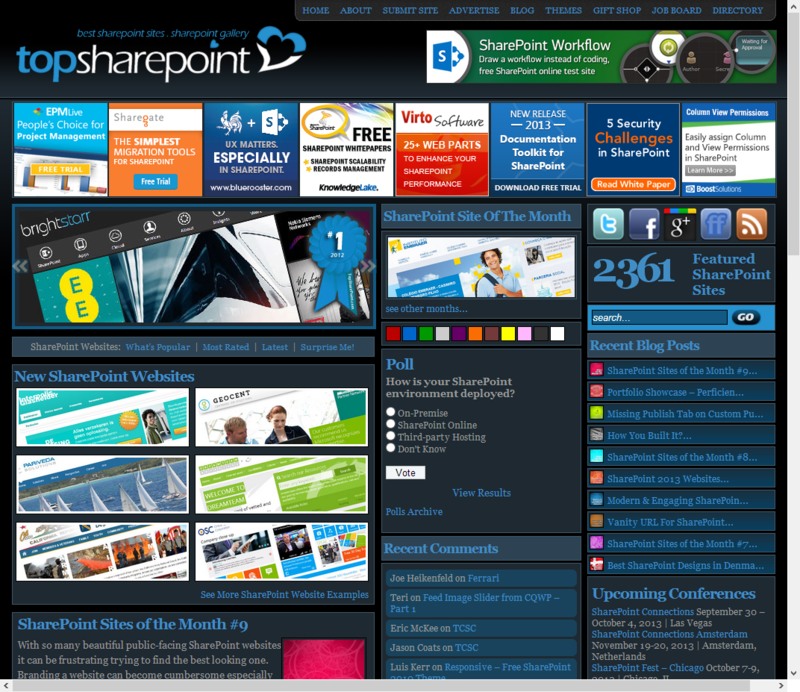 Here are a couple of things I like to do in the SharePoint Central Administration site which claw back a few seconds of my life so that I have time to write blog posts. 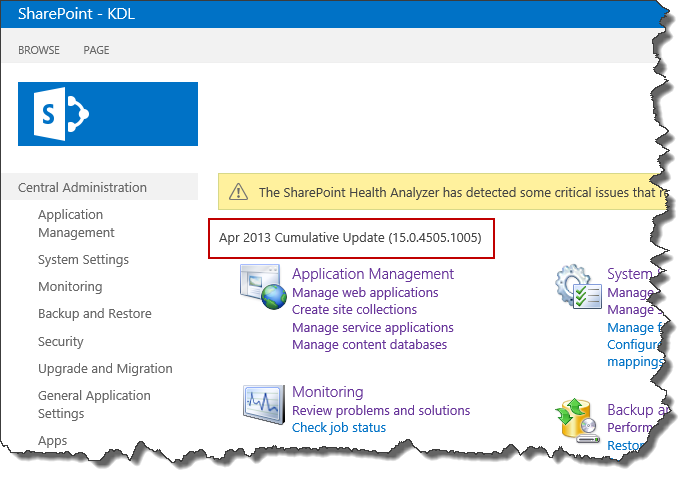 I always know which version the farm is patched to and it saves me from having to look up Todd Klindt’s SharePoint 2013 Build Numbers to figure out that 15.0.4505.1005 is Apr 2013 CU. Second, I add links to the Resources section on the right to frequently used pages. 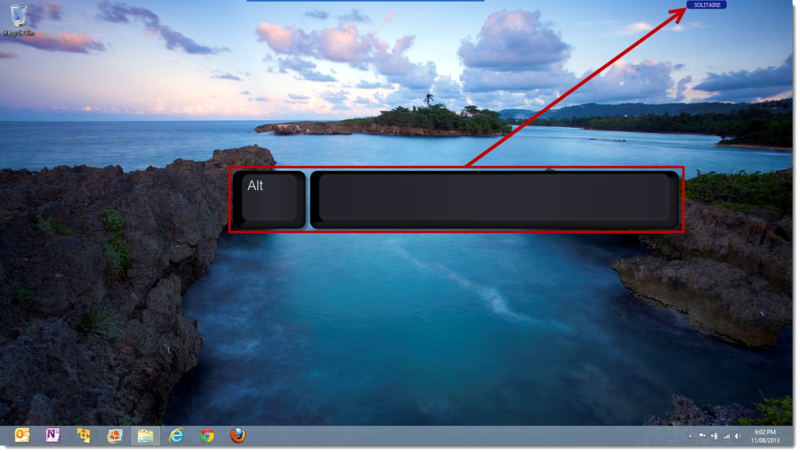 That way I can go there with one click instead of having to hunt through the Service Applications list.